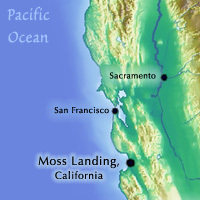 MOSS LANDING, CALIFORNIA– All Antarctic organisms have unique adaptations that allow them to survive the extreme freezing Antarctic environment. Antarctic fish, for example, have antifreeze proteins that keep their blood from freezing and some lack hemoglobin (red blood cells), instead absorbing oxygen through their skin. Because of their unique polar adaptations, Antarctic fish have generally been considered stenotherms, a term which refers to organisms that are capable of surviving over only a narrow range of temperatures. For this reason, they were thought of as particularly vulnerable to climate change. 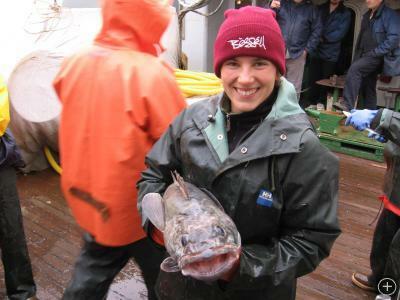 Cassandra and an Antarctic toothfish on 2006 AMLR fish cruise off the Antarctic Peninsula. Yet over evolutionary time scales, spanning thousands to millions of years, Antarctic fish species have adapted to changes in their environment with success. During the second day of the SCAR conference, Karel Janko from the Czech Academy of Sciences and others demonstrated this fact during their talk entitled “Does the life history affect the ability of Antarctic fish to cope with climatic changes?” The team used population genetics to see the effect of past major climate shifts on fish populations and tried to predict what may happen in the future as we are in the midst of another major shift. Over the past millennia, the ice sheets of Antarctica have advanced and retreated multiple times, each time drastically changing the available habitat for fish. Massive ice sheets originally form on the continent of Antarctica and grow outward toward and into the ocean. In times when the ice is expanding, it grows out over the continental shelf and due to its massive weight, it becomes grounded into the shelf. When this happens, all the benthic organisms that live on the continental shelf get pushed out and cease to thrive. As Janko described, during glacial times when the ice shelf advances, benthic ecosystems, including fishes, are depleted whereas pelagic fishes, that don’t depend on the benthos, flourish. 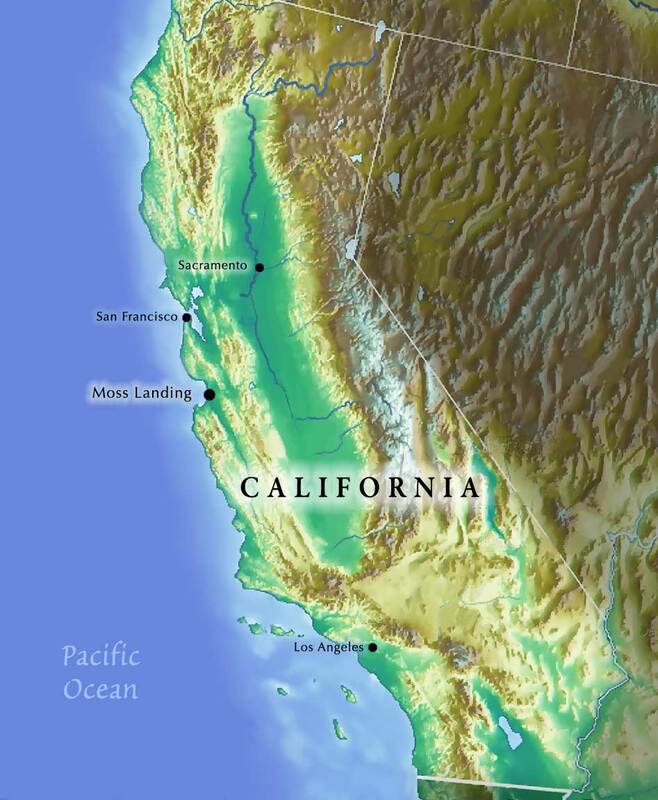 In contrast, during interglacial times, when there is little ice, the continental shelf is exposed and benthic ecosystems flourish, with little affect on the pelagic species. Since in the present, the ice has been retreating, we are currently in a time of benthic species expansion. Of course, this is all on an evolutionary time scale, meaning that Antarctic fish will not likely disappear altogether. They will instead continue to evolve and adapt with some species flourishing and others dying out completely. Based on the work of Janko and others, we can guess that benthic species will have more available habitat as the ice continues to retreat, but we still don’t know the physiological effect of warming on their bodies which are adapted specifically for cold environments. 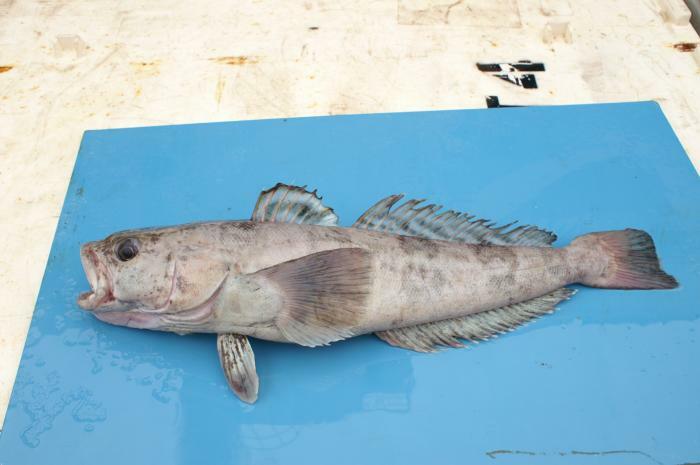 Other IPY studies are looking at this and will reveal more information with regards to the future of Antarctic fish. For more information, visit http://www.ipy.org/ and click on OCEANS. Wow!!!! That fish is cool. I don’t know if I would have held it though. But it looks, REALLY COOL!!!!!! Its harmless to hold and is REALLY cool! Hi Cassandra – do you remember me? Sunny from Germany! It is great to see you again on these web sites! Seems you are doing fine! Thank you for putting my name to my photograph of Dissostichus mawsoni! (Please add a “s” to my last name, then it will be correct – Sunhild Wilhelms). Hope to see you again sometime onboard ( preferably Yuzmo). And your name is fixed! Thanks for the great photos! « Is There Hope for Polar Bears?